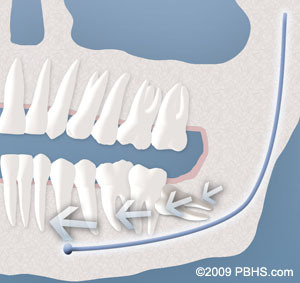 With an oral examination and x-rays of the mouth, Dr. Boudreaux can evaluate the position of the wisdom teeth and predict if there are present or future potential problems. Studies have shown that early evaluation and treatment result in a superior outcome for the patient. Patients are generally first evaluated in the mid-teenage years by their dentist, orthodontist, or by an oral and maxillofacial surgeon. At the time of your consultation, your specific situation will be discussed in greater detail. We encourage you to ask any questions you may have. If new questions arise after your consultation, please call our office at New Iberia Office Phone Number 337-560-0131 to speak to one of our patient care coordinators. 5 out of 5 stars based on 18 Extraction reviews. Everyone was so kind, considerate, and professional. I am so appreciative of the excellent care I received. I will definitely come back if needed and I will definitely recommed you to others. Thank you once again! Thank you for the gentle, calming, and reassuring manner of Dr. Boudreaux and his staff. At this point I am healing from my recent extraction with bone graft procedure ( five days post-op). 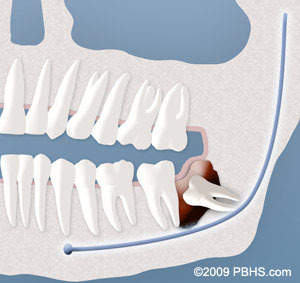 I'm hoping for a very good result with my future implant. I seem to have had no complications. The staff have been extremely professional, friendly, helpful and reassuring, as has Dr. Boudreaux. It's been a good experience with the office, although I hated having to lose a tooth !! Hard to believe how good and pro. these people are,when they talk to you, you know you came to the right place. Just so good. Dr Boudreaux has a great staff, and I can't say enough about the Doctor. He shows compassion and dedication to his profession. I will always use him now and in the future. I have been going to the dentist since the age of 3 and Dr. Boudreaux is one of the best. I highly recommend him to anyone who needs any kind of oral surgery. Dr. Boudreaux went well out of his way for me today. Fit me in his schedule to pull an impacted wisdom tooth and another molar. I was in and out in 30 minutes with no pain at all. I have pain meds and havent taken any yet. That was 7 hours ago. Also no need for stitches. I would very highly reccomend him to anyone. Thanks doesnt do enough justice for what you did today Dr. Boudreaux. But itll have to do for now. Lol. Great big thanks from me and my family. Dr. Boudreaux's office runs like a well-oiled machine. (Does that sound corny?) lol Well it's true! Everyone knew their job, everyone worked together to get my surgery underway and get me back home! The staff was friendly, personable and professional. They knew all the answers to questions about the procedure I was about to undergo. I am always very nervous about a dental visit, but I must admit, their confidence and obvious skill eased my fears within minutes. Then I met Dr. Boudreaux, and I knew I had chosen the perfect doctor! He was kind,easy to talk to,interested in what I had to say and patiently explained what he would be doing. The whole procedure was painless and amazingly quick. Later that day, when I was snug at home, Dr. Boudreaux called to see how I was doing. My hubby answered the phone, told him I was doing well. He reminded my husband that should I have any problems he has a 24 hour answering service, call if necessary. We were very impressed with the concern he expressed for his patients. It's the little things like this that make a great doctor, and he is, without a doubt, a great doctor! I like that the doctor called afterwards to check up on me.